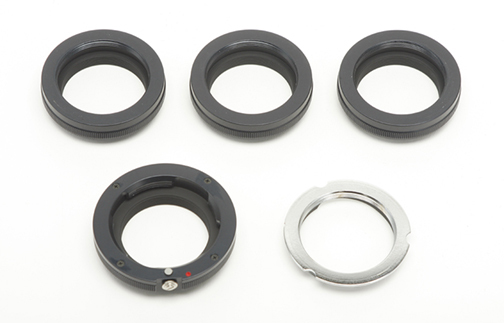 "This nifty set for Leica M mount functions in two ways and will expand the possibilities of your M system. 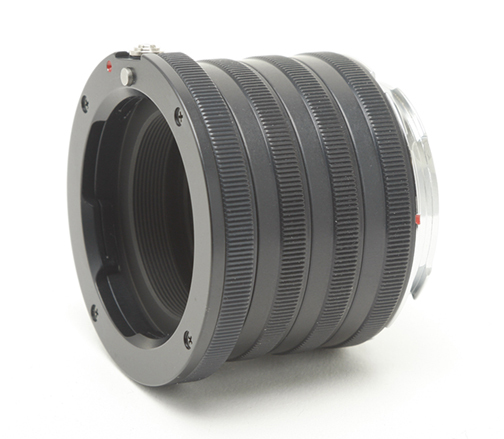 First, when used in combination with a Visoflex II or III, it allows infinity focus with Visoflex specific lenses. Second, and perhaps its more popular employment, is its use as a macro tube set for the Leica M Typ 240 with live view and any of your M lenses." 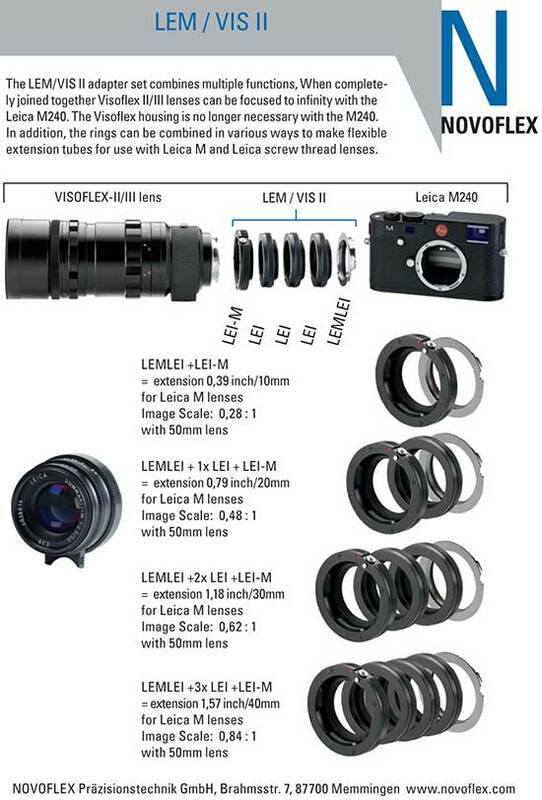 This entry was posted in Leica Accessories, Leica M and tagged Novoflex. Bookmark the permalink. Trackbacks are closed, but you can post a comment.